Bancroft Feldman Plastic Surgery is excited to announce our new patient model ambassador program. 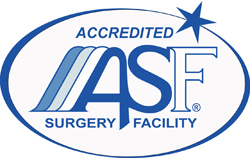 All selections are actual plastic surgery patients who have undergone a surgical procedure at Bancroft Feldman Plastic Surgery. Interested in becoming a plastic surgery model? Book your surgery today for the opportunity to become a brand ambassador and show off your results as our next patient model! A big thanks to Heights Boudoir and Warwick Boudoir Photography for welcoming our patients, and providing such flattering photographs.